Celebrity Maria Menounos issued an open letter to all WWE fans and members of the press regarding this past Saturday’s Hall of Fame, where the crowd showed their hostility, booing her most of the time. As you know, I had the honor of inducting my friend, Bob Backlund, into the WWE Hall of Fame. The fans were a little rough as another inductee and friend, Donald Trump, would likewise experience. It’s understandable as we are not pro wrestlers and the honesty of the WWE fans is what makes it fun. However, I did the speech mainly to tell the world all the amazing things about Bob and I fear some of those things were not heard. Below is my speech. I’m hoping you’ll print it for a good friend, a great champion, and one of the most incredible human beings I know. 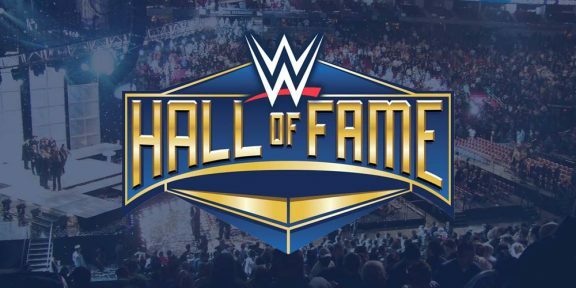 To induct anyone into the WWE Hall of Fame puts you in the company of the greatest artists, athletes and performers in the entire world. I CHALLENGE ANYONE who disagrees to show me another kind of entertainer who can recite monologues, in character, without the use of teleprompters and before world audiences, performing improv drama and comedy while flying through the air and taking bumps, 300 nights a year. But for me tonight is even more special for I am not just inducting anyone into the WWE Hall of Fame. I’m inducting someone who encapsulates the word champion. Someone whom I’m a great fan of…Someone whom is my friend. Growing up Greek and not speaking English, wrestling was one of the few things on TV I’d watch and be able to understand. I was five when Bob Backlund lost his title to The Sheik. I was 14 when “Mr. Backlund” returned. I was eighteen when I met Bob in person and I remember being in awe. It was on the set of my first movie and Bob was literally the most positive and striking force I have ever encountered. He was funny when we needed laughter – the man has an incredible and underrated sense of comedic timing – strong when we needed support and sensitive when we needed a friend. While Working on Bob’s congressional campaign, a story came up about the Iron Shiek and his Persian Clubs. the Iron Shiek apparently had an exercise where he would swing these heavy wooden “Persian Clubs” behind his back. 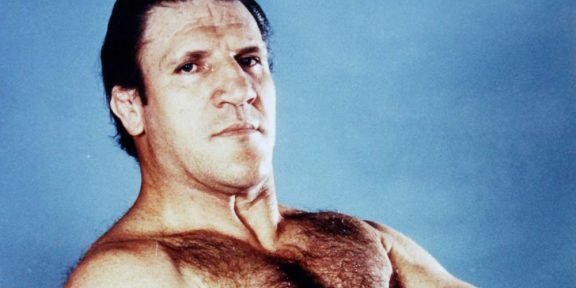 He had toured the nation’s gyms with the clubs and, apparently, no other strong man in the country could perform the exercise, nor could anyone on the WWF roster – except Bob, who did it….on his FIRST TRY. When I asked Bob how, he told me ‘when you believe you can do something…you can.’ The very next day, bob said he was going to perform an exercise of his own-the harvard step test in front of city hall on his election day. Twenty years earlier bob set a personal record doing the step test for two straight hours. The goal was to match that. we all thought he was crazy as he was well into his 50s by that time. Bob was not able to match that record. He made a new one. It wasn’t three hours. It wasn’t four hours. He did his harvard step test for eight hours straight!!! Once again reminding us all, if you believe you can do something, you can. Speaking of Hollywood, one of the first days I was hosting the Today Show, John Cena and Vince McMahon happened to be guests. Of course, I’m huge fans of theirs, too, but I couldn’t help but threaten John that Bob would one day come back to put him in the chicken wing! They both had great things to say about Bob but I’m sure they thought I was a little nuts, as people have thought Bob was a little nuts. But along with everything else Bob taught me, its okay to be a little nuts. I’m sure people thought Bob was more than a little nuts, when after an unprecedented 5 year run with the title, he refused to turn heel. He believed it would let down his fans which included many troubled youth who had looked up to him and in those days, it would have. In so doing he surrendered millions of dollars from the new age of rock and wrestling as well as the career he loved most. Not only did Bob Backlund hold the title for almost six consecutive years – he did something perhaps even greater when he came back a decade later. He completely reinvented himself and his character. When you think of performers who’ve been able to successfully reinvent their characters, even in Hollywood, few names come to mind. Bob not only created an entire new persona he also went on to become wrestling’s number one heel and regained his title in one of the most successful comebacks in sports entertainment history. But, most people know that. Like the greatest champions Bob Backlund carries himself with humility – which is why many of the facts I’m about to reveal are not known. In a Pennsylvania match against Hulk Hogan, whom he pinned on several occasions, Bob Backlund picked Hulk up over his head with one arm. It’s a feat Hulk, and his own late father, often reflected on in astonishment. Bob Backlund has only been to the doctor twice since 1973. Bob Backlund, within a three month span, won the NCAA wrestling championship and the National college football championship. He is perhaps the only man in history to hold that distinction. In that championship football game, Bob Backlund recorded 22 tackles and 2 fumble recoveries. To give perspective, a team averages about 65 plays in an entire game. Bob Backlund was a top shoot fighter if not THE top shoot fighter in the world of professional wrestling. Bob Backlund intentionally NEVER squashed his opponents as he believed it would harm their future earnings. Bob Backlund is in better condition than 99 percent of men…a third his age. Bob Backlund has a diverse portfolio of stocks and real estate and has NEVER IN HIS LIFE PAID A DIME OF INTEREST! Bob Backlund has a beautiful wife and daughter. And at the end of the day, Bob Backlund justs want to help others in need. Bob Backlund is simply one of, if not, THE greatest personal success stories for wrestlers, fans and people in general. Some know you as Bob Backlund. Others as Mr. Backlund. I just know you as my champion, my hero and my friend. Thank you to the WWE Universe for allowing me to welcome to the stage, Mr. Bob Backlund!